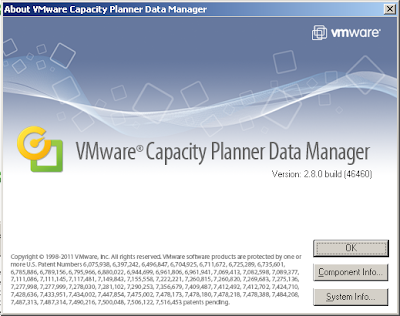 A new version of VMware Capacity Planner v2.8.0 build 46460 has been released (only available to partners). The most notable new features are support for desktop assesments and that multiple assesments can be grouped under one company. The collector interface is more or less unchanged. 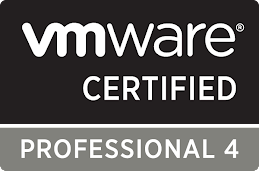 Unfortunately, it doesn't look like VMware is spending too many resources developing this tool. The following items are the main changes in this version. · Desktop Assessments. In addition to CA and CE assessments, users can create Desktop Assessments. These assessments facilitate analyzing a Desktop environment for virtualization. To support Desktop assessments, additional objects are collected for analysis. · Collector or Dashboard Inventory Additions. Information about Users, Login Profiles, Logon Sessions, User Groups and Networks is collected in addition to the existing objects in CP 2.7.x. The Dashboard provides different views that help users identify the Users, Locations, Networks and Desktops that are View Ready. · Separate Projects and Companies. Instead of creating a separate company for each type of Assessment, users can create multiple CA, CE, or Desktop projects within the same company. 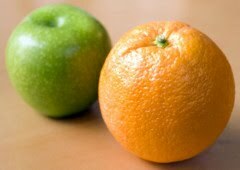 They can use the same data collected within a company to perform different Assessments. The landing page is redesigned to show separate Projects and Companies tab. · Hardware Profiles. Hardware Profiles allow tags to describe the Hardware. Hardware Profiles can represent different types of Hardware such as CPU, Chassis, Adaptor NIC etc. Users can create Hardware Profiles representing specific devices and have the option to mark them View Ready. This information is used in identifying whether Desktops having the corresponding hardware are View ready. · Reporting Enhancement. Optimization reports have been modified to include View Readiness information for Users, Networks, Locations, and Desktops. · Templates Update. Cluster and Shared Storage templates are added to specify Cluster and Shared Storage configuration. These templates can be included in Scenarios for placement of systems. · Scenario Improvement. The scenario can now be marked for Desktops or Servers. Users have the Cross Boundaries option for Networks. The Scenarios can now build clusters considering shared storage.